The document contains the most frequent recurring questions that we encounter in practice every day, and a wealth of information on relevant European and Slovak standards. 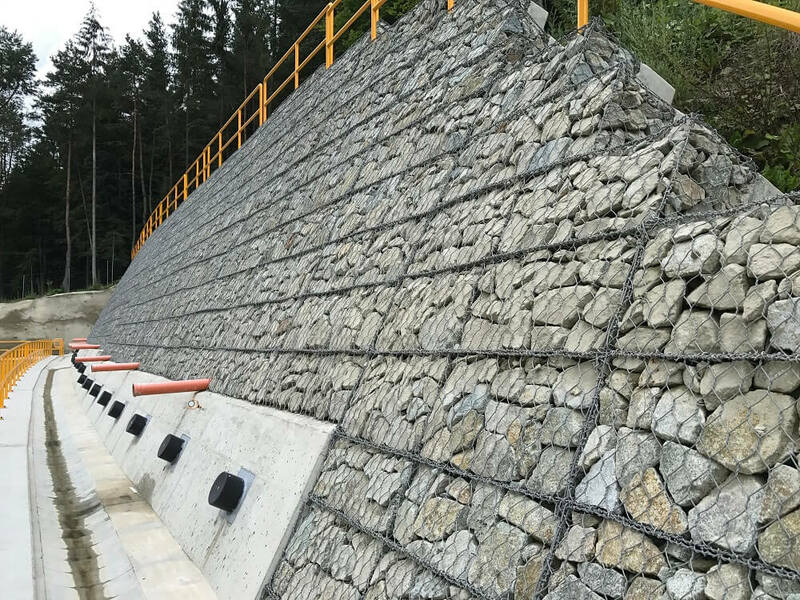 When we are discussing the durability and resilience of gabions and reinforced rock structures, our engineers have often reported that the discussion takes place at an unprofessional level and are not technically documented (through test reports, calculations, certificates). As we strive to keep this discussion at a professional level, we have decided to summarize the facts and compare them with the most common misconceptions and refute them on the basis of technical arguments, test results and research in this area. In the document, you can get facts and test results based on the answers to these questions: What is the life expectancy of gabion structures? How does gabion design affect its quality and life expectancy? What is the surface resistance to corrosion? Can wire corrosion propagate in the direction of the damaged site or directly under the coating of the polymer? What is the difference between PVC and PA6 coatings? You can find answers to frequently asked questions at this link. We hope that you will find the document useful.